Our guitar teachers provide electric, acoustic and classical guitar lessons in Derby to all ages and abilities. We are based at Creative Central, Unit 2, New Street, Derby City Centre, DE1 2LX. We also provide morning home lessons from 9am-2pm Monday to Friday in In Derbyshire, Burton and Nottingham. 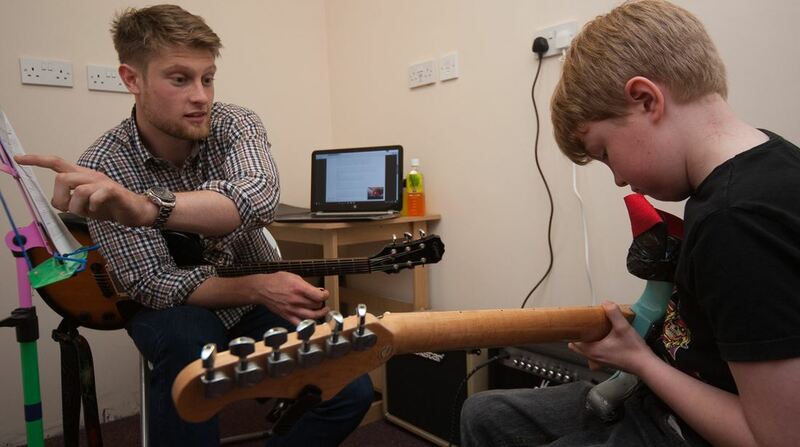 Get in touch today to talk to our guitar teacher to discuss your playing needs!